Throwing hints at the National Democratic Party (NDP 1), the Opposition Leader says that while the past is important, we must look at the present and strive for accountability now or someone else will. “While we celebrate 40 years off of Grant-in-Aid, it actually took them [past government] 10 years, or even 11… after the Government was formed to help us get across the red seas,” Hon Fahie told those gathered at a dinner event on December 15, 2018, to mark the anniversary. “This tells me that when you make a mistake with the finances of your country, no matter what era it is, it takes you a while to rebound,” he said. “But I’m sure that the learnt lessons, that we… strangely enough, have to relearn. Because history does not repeat itself, people repeat history. It is there for all to see and to read,” Hon Fahie uttered. “There is something strange about life, no matter what kind of cameras you have and a thief goes there… after about six to seven months he feels comfortable, and feel that he can go steal and the cameras are not watching him… and they get caught,” he said. The VIP Chairman, no stranger at berating the NDP Government, have accused them for having a general lack of accountability, transparency good governance in the VI. Over its rule, the party has seen some of its most senior members get involved with high-profile scandals regarding poor financial management. One such scandal is the current debacle surrounding the Co-Leader of Government and Minister for Education and Culture, Hon Myron V. Walwyn (AL) for a poorly constructed wall he commissioned around the Elmore Stoutt High School (ESHS) costing taxpayers some $1.6M. 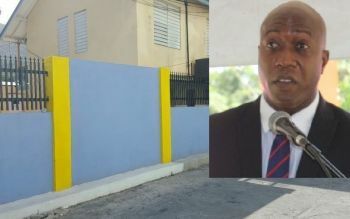 According to the Auditor General (AG), Ms Sonia M. Webster, the project was said to be corrupt and lacked accountability with a report on the wall now forwarded to the Police for further action. 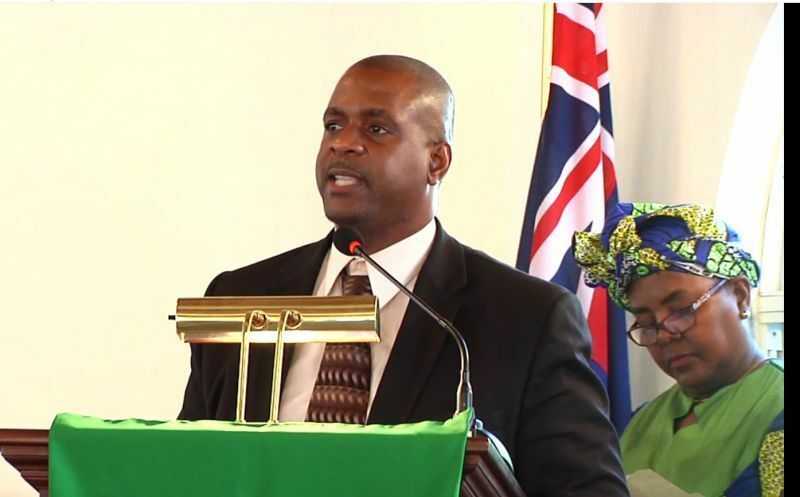 “The problem with this is this is that sometimes we get so comfortable, with what we are doing and not being accountable… and once you don’t become accountable, then you’re going to cause generations unborn to be uncomfortable,” Hon Fahie said. “If we don’t police ourselves, someone is going to police us in a manner that we all will regret, therefore we have to strive for the highest levels of accountability, transparency and good governance,” the Opposition Leader said. Every election politician makes promises to the people and makes up a fancy slogan from the top of their head and package it in their manifesto, fooling off the people for votes. Not this time. Elections are one of the biggest lying contests in this system of things, a system you yourself have tailored to your benefit. We need a fresh start one which you are not apart of. I actually agree with Hon. Fahie for the second time for the year. Fahie got to know. He was there comfortable himself. Pot calling kettle black.. Ask him.about that 500K he paid the man of the cloth for nothing. Fahie you are on target. A few years ago when I heard Fahie speaking on accountability and what all was going wrong under the NDP, I was very angry with him. I thought that he was lying and just looking for power. Today everything he was warning about has come to past. I now have more respect for Hon. Fahie because if it wasn't for him then we the public would have been further in the darkness. The NDP (whether NDP 1 or NDP 2) is the most corrupt GOVERNMENT EVER! This is now clear for ALL to see...at least who want to see. The Ndp has put out a lot of propaganda on Andrew over the years to discredit him hoping that we wouldn't hear him when he told the truth & tried to hold them accountable. We are too mature for that to work long term. All of you are the same! I am voting for a fresh face to lead us.